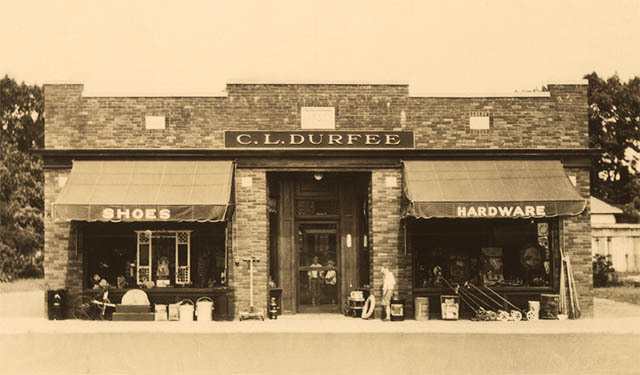 Durfee Hardware was built in 1929 by Clarence Lester Durfee (the “C. L.” on the original store sign) and his wife Gertrude Durfee. Clarence, who had a love for woodworking and building projects, constructed the store on land that at the time was populated only with apple trees. He had just left a gasoline and oil distribution business (Gulf Oil) on Cranston Street in Providence and had decided a hardware store in Cranston would be a better career move than his second choice – the ice delivery business (good choice, Clarence). The original store was a one-story section of the larger building that exists today. When the store was initially built, Rolfe Street was an unpaved road where a trolley brought people out of the “big city” of Providence and into the “country”. Soon the area began to grow into the densely populated community it is today, and Durfee’s was there to provide the needed hardware for the new construction. The store prospered with the development of the community, and Durfee’s reputation as “The place to go when you can’t find it anywhere else” began. In the beginning, the store was never open on Sundays, but was open till 9:00 PM. The doors would only lock when customers stopped coming in, so some nights we would stay open until 11:00 PM. The store was also closed on Wednesdays for a great many years, because Clarence wanted to make his Rotary Club meetings and couldn’t leave the store unattended. These Wednesday closings became a tradition that lasted well into the 1980’s. For many years the store closed down for a week annually, so that our family could take a vacation – imagine a retail store doing that today! From the time the hardware store was built until the late 1930’s, there was an old two story house next door. That house was moved farther away from the store to allow for more customer parking, directly adjacent to the store. It later became the home of Ray and Betty Durfee for a few years in the 1950’s and in subsequent years was converted into rental property. In recent years, that house was torn down to make way for the Cranston Post Office. 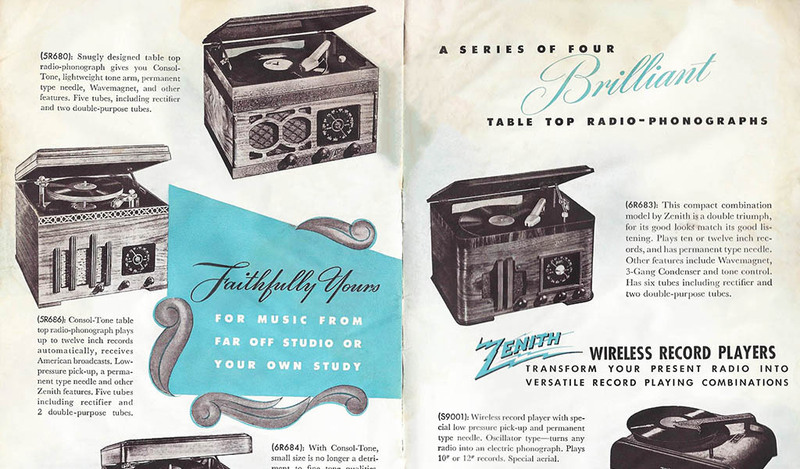 In the early days, the store was an old-time department store – we have sold washers, dryers, refrigerators, TV sets, toys, guns (both real and BB), shoes, and even boats! Through all this, we always made sure our core business remained hardware. Clarence’s son, Ray, grew up around the store and returned to help his parents after graduating from Brown University and spending two tours of duty in the Navy. Ray took over the reins of the business as President after World War II, and the company was incorporated in 1960. Ray made the decision to join the True Value buying cooperative in 1972, as he could see that combining the purchasing power of many stores would be the best way for Durfee Hardware to compete with larger building supply houses. After he graduated from Boston University, Ray’s son Paul came to work at the store, continuing the stores heritage into a third generation. Around that time, a two-story section was built on the south side, which became the final addition to the complex. 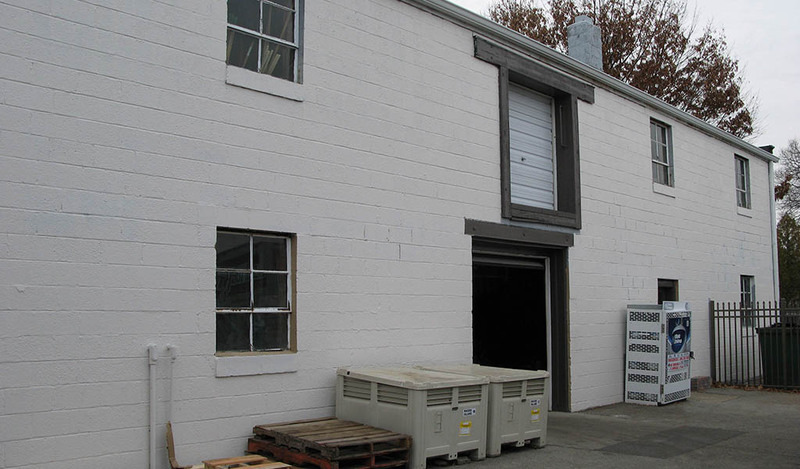 We also have a two-story warehouse behind the main store that is filled with shelves and pallets of merchandise. The building that connects the store to the warehouse contains the glass room, where we cut glass and repair windows and screens. Over the years, we have modernized our practices and space. We don’t close on Wednesdays anymore. We have also made the aisles wider, expanded the retail space of the hardware department, and gotten color-matching equipment and checkout scanners to make things more convenient. 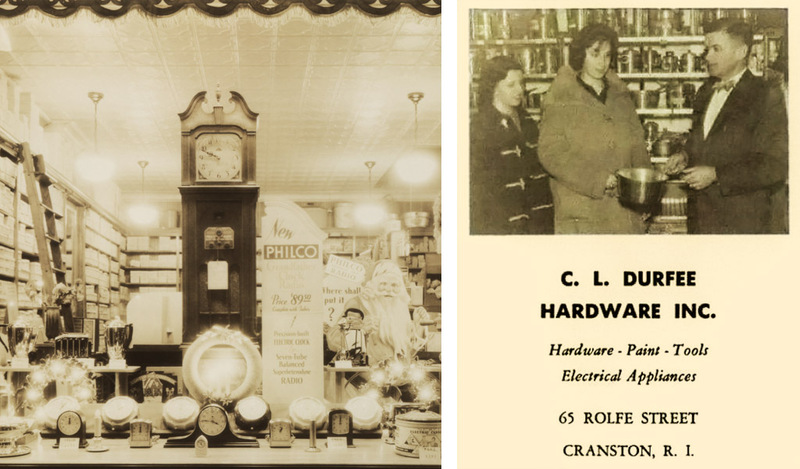 These days, you may see members of the fourth generation of the Durfee family working at the store, as Clarence’s great-grandchildren learn how to repair windows and screens, stock inventory, and provide customers with our well known “Durfee Hardware Service”. We are now in our 88th year of business and we are proud; not many businesses can say that. Though many things have changed during the years, some things have remained; they are the things that make Durfee’s unique. It’s the wooden floors, the tin ceilings, the skylights, and our key room with the proverbs and corny jokes on the walls. It’s selecting your own nails by the pound and measuring them on the old-time scale. It’s the $2 bills we hand-out for change, our long-time employees who take an interest in your projects, and the exceptional value found in all the products we sell. If you have never been to Durfee’s, we hope our family’s commitment to providing quality service and products to our customers and the community throughout the years is enough for you to give us a try.